YARDMAX recently introduced their new gas and electric log splitters. With a focus on durability and design, YARDMAX incorporates features such as a built-in stand, stroke limiter and log table as standard – with no upcharge. 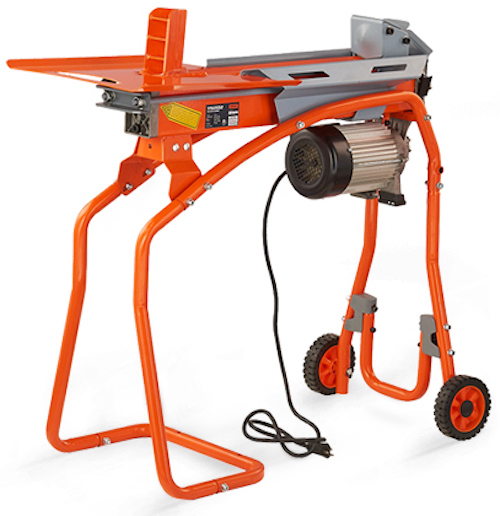 The high-powered gas log splitters effortlessly split wood and make short work of the most demanding, heavy-duty projects. Offered in both full- and half-beam designs, the easy-to-use gas log splitters are available in 25-, 28-, 30- and 35-ton splitting force options. Engineered to tackle the toughest challenges and make log splitting simple and efficient, the YARDMAX 5-ton electric log splitter offers the strength, speed and durability of a high-end product at an affordable price. The lightweight splitter is easy to maneuver and operate. It offers the power needed to handle virtually any job with ease paired with the portability and convenience of clean, electrical splitting indoors or out. Plus, there’s minimal to no assembly required. Standing behind its products, YARDMAX offers a two-year residential warranty on all equipment; a 3-2-1 warranty for gas log-splitters that includes materials and workmanship for three years, motors for two years and hydraulic parts for one year; and a 90-day commercial warranty.